Sally with her first mackerel... or fish on a spinning rod.. It is that time of year again.. Two days ago there was tons (literally) of spanish mackerel on the gulf edge..
Keep an eye out for gulls... If you see pelicans and gulls repeatedly diving to the surface.. you can bet you will find mackerel crashing bait.... They have very sharp teeth and wire leaders are a good idea.. Speaking of fish crashing bait... Yesterday we found a 5 acre mud in the back country.. A mud is usually created by mullet or other bait fish stirring up the bottom.. Muds can also hold , jacks, lady fish, sea trout, etc.. This one had some 4 to 5 foot tarpon crashing bait and free jumping.. Mostly out of range.. how ever one did roll and swim straight to the boat,, My buddy was able to put a chartruse toad fly in her path and she ate it.. Later on we found some smaller and hungry tarpon rolling near by as well.. 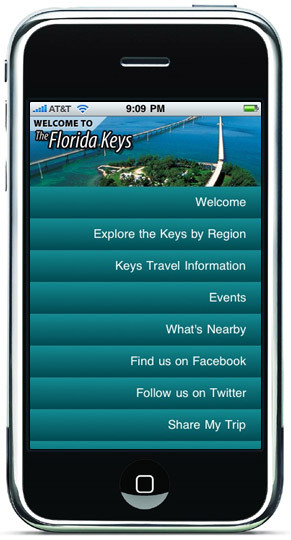 Visitors are now just a finger tap away from comprehensive travel information and guidance from Key Largo to Key West with the free, newly released Florida Keys App. Features of the App include accommodations of all types, restaurants, attractions, diving and fishing, boating, marinas and watersports, eco- and kayaking tours, dolphin encounters and even where to stroll the best art galleries or relax in an outdoor park.